Mine Direct Top Paraiba Cornflower Windex Blue to Electric Sapphire Blue Afghan Tourmaline Top Facet Rough Lot! Spectacular Bubblegum Pink to Silver Afghan Tourmaline Gem Crystal. This is being sold AS a Crystal! It is a very gemmy crystal with the bulk of the body being suitable for faceting; however, it is an extremely unusual Crystal. The top White portion of the Crystal has a perfectly terminated Mica Crystal located within its center (This is pretty clear in the first picture above). The Mica crystal is clearly visible and it looks almost perfectly hexagonal. I for sure wouldn't recommend faceting this as it is the only piece we have seen like this. The Crystal overall is well terminated with excellent luster and sharp edges. 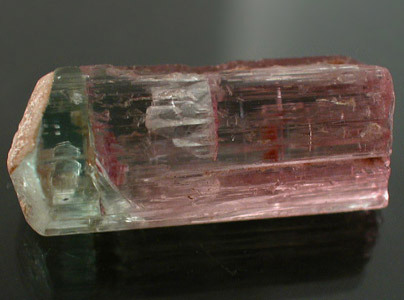 It does show some etching on the sides and the Tip of the crystal looks undamaged; however, the bottom end of the crystal is NOT terminated. Don't miss out on adding thing to your crystal selection as it truly is one of kind! 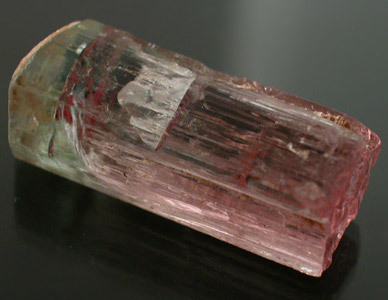 Afghan Tourmaline pockets tend to be relatively small in size and as a result consistency in color & quality is a rarity! We have never seen Afghan Tourmaline sold by the kilo with like colored and quality material and lots are generally small in size seldom going over 1/2-1 kilo. 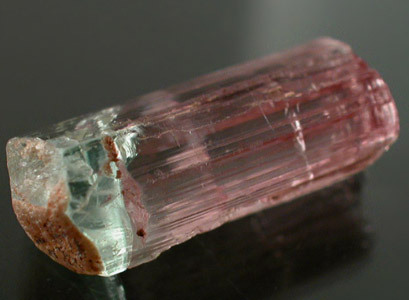 All Afghan Tourmaline is exhumed from primary deposits and as a result mining costs are considerably higher due to dynamite expenditures and traveling expenditures to get to remote mining areas. 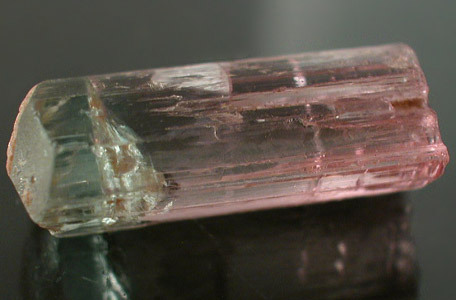 It is also interesting to note that since all Afghan Tourmaline is from primary deposits most rough will usually have sharp crystal faces.